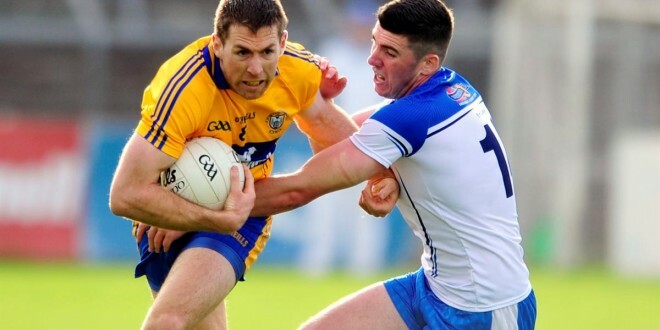 IT felt like a defeat but Clare were eventually relieved to hold on for a draw in the Munster senior football quarter-final against Waterford in Cusack Park on Saturday evening. The replay will be in Dungarvan next Saturday, with a likely throw in time of 7pm. The Collins brothers, Seán and Podge, are also due to play with the Clare hurlers, in the Munster semi-final, the following day. Three minutes from the end of normal time in Ennis, Clare led by three points, 2-8 to 2-5 and it seemed that they would hold on for victory. However Waterford ran at Clare and kicked a trio of late points Shane Aherne (0-2) and top scorer, Paul Whyte, who kicked the equaliser. Twenty three minutes into the second half Waterford had goaled through Liam O’ Lonán. David Tubridy netted at the far end for Clare six minutes from time. Clare led 1-5 to 1-2 at half time with Enda Coughlan scoring their goal in the sixth minute. He finished from close range after a Shane McGrath shot spilled into his path. McGrath kicked two first half points from midfield, while David Tubridy, who missed a couple of scoreable frees, put over two first half points, one from play. 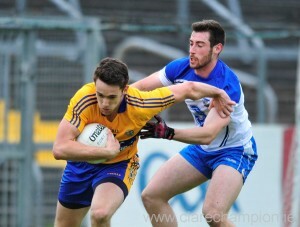 Martin O’Leary was Clare’s remaining first half point scorer, putting over a free, won by himself, from an acute angle. Waterford’s JJ Hutchinson pointed two early scores while Paul Whyte finished neatly after good play from Dean Crowley. Clare were dealt a big blow four minutes before half time when Gordon Kelly was black carded following a tackle on Liam O’Lonán. 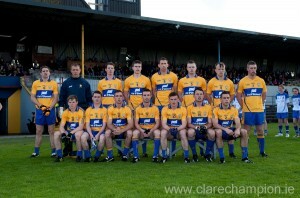 The Clare centre back was replaced by Shane Brennan, while Enda Coughlan was moved to centre-back. Podge Collins was also black carded, late in the second half and was replaced by Shane Brennan. Clare will be disappointed with this display. The regularly spilled possession high up the field, while Waterford punished them on the break. 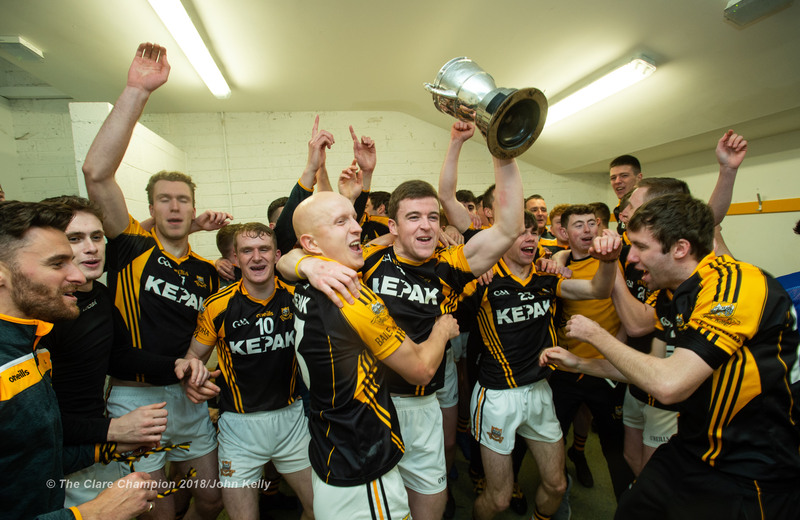 Joe Hayes (Lissycasey); Dean Ryan (Éire Óg), Kevin Hartnett (Meelick), Martin McMahon (Kilmurry Ibrickane); Shane Hickey (Kilmurry Ibrickane), Gordon Kelly (Miltown), Ciaran Russell (Éire Óg); Gary Brennan (Clondegad – captain), Jamie Malone (Corofin); Shane McGrath (Thomas Davis), Enda Coughlan (Kilmurry Ibrickane), Seán Collins (Cratloe); Martin O’Leary (Kilmihil), David Tubridy (Doonbeg), Podge Collins (Cratloe). Subs: Shane Brennan (Clondegad) for Gordon Kelly (black card – 31), Rory Donnelly (Cooraclare) for Martin O’Leary (51), Eoin Cleary (Miltown) for Jamie Malone (62), Podge McMahon (Clondegad) for Podge Collins (black card – 70). Scorers: David Tubridy 1-2, (0-1f), Shane McGrath & Gary Brennan (0-2 each), Enda Coughlan 1-0, Martin O’Leary, Jamie Malone (0-1 each). 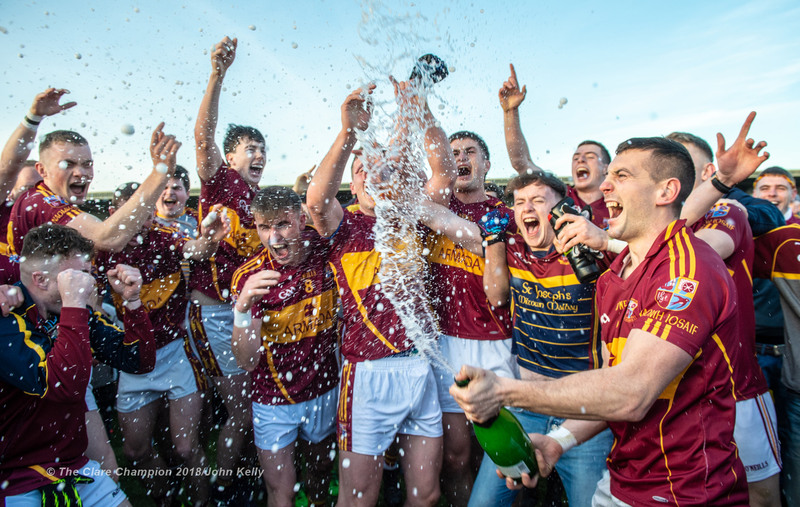 Waterford: Stephen Enright; Dean Crowley, Thomas O’Gorman, Maurice O’Gorman; Conor Phelan, Shane Briggs (captain), Oran Keevers; Shane Aherne, Tommy Prendergast; Michael O’Gorman, Liam O’Lonáin, Tadhg O’hUallacháin; Brian Wall, Paul Whyte, JJ Hutchinson. Subs: Michael Curry for JJ Hutchinson (40), Declan Allen for Brian Wall (46), David Grey for Michael O’Gorman (52), David Hallahan for Oran Keevers (60), Lorcan O’ Corraoin for Shane Briggs (black card (61). Scorers: Paul Whyte (1-3), Liam O’ Lonáin (1-0), JJ Hutchinson (0-2), Tadhg O’ hUallacháin, Shane Aherne, Michael Curry (0-1 each).